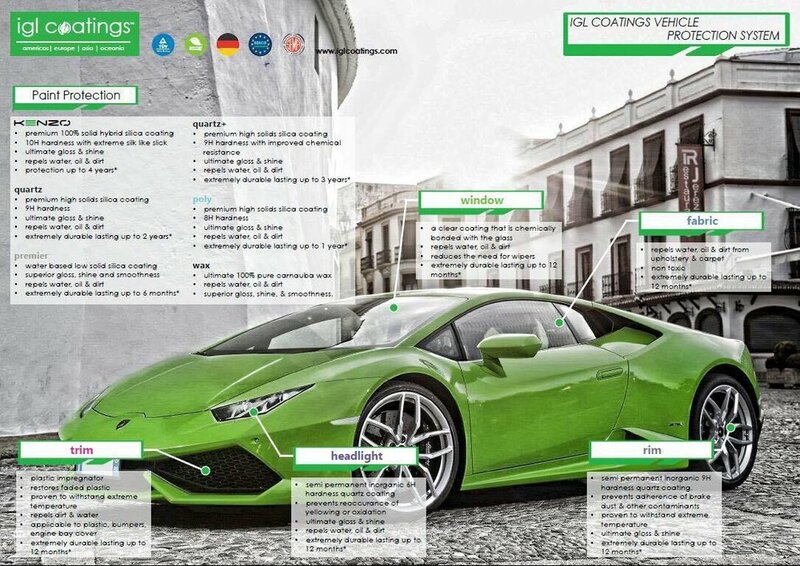 Are you interested in extended protection for your vehicle's surfaces? Are you looking for a product that once applied makes washing and maintaining almost effortless? Look no further than Empyreal Auto. We are IGL certified and offer the full line of protective coatings to keep your vehicle looking better than the day it rolled off the showroom floor. The paint on your vehicle is very delicate and any abrasive contact can damage it to the point the finish looks dull or very marred. That is where IGL coatings and Empyreal Auto come in to play. After we perform a full service on your vehicle to restore the paint surface to its best condition, we then can apply any of IGL's coatings. 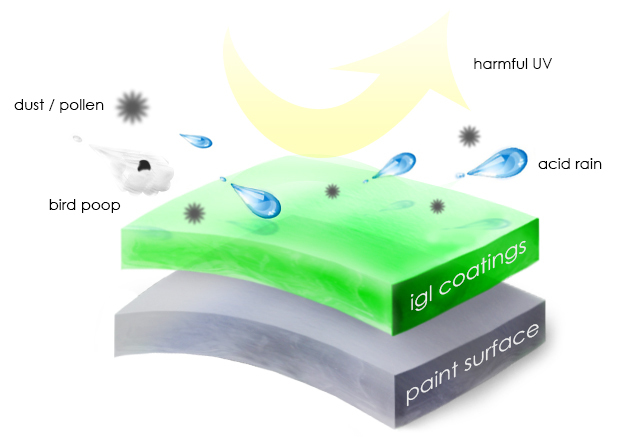 They offer extreme protection from foreign contaminants and also offer a hydrophobic finish. Coating your paint does not only protect the paint from damage, but it also adds an extreme shine to keep your vehicle looking it's best. 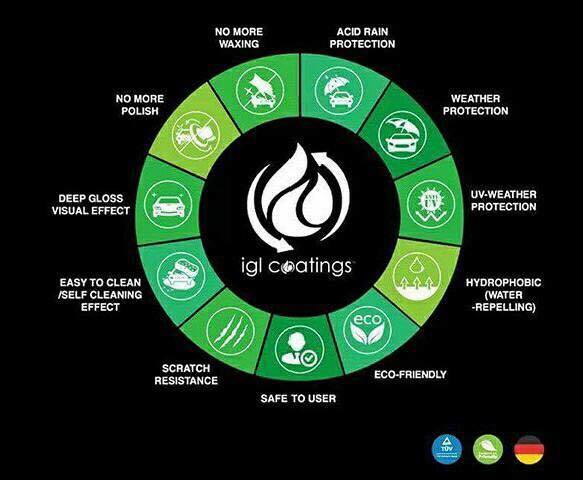 We offer the full range of IGL coatings as listed to the right. They range in protection as well as duration. Whether you are looking for something like Poly where it just an added ease of washing or your are looking at getting your vehicle coated with KENZO we can certainly help.